I don't know about your classroom, but in mine, my students struggle with understanding just how to study and learn vocabulary words. So, I decided I needed to help them out a bit. I taught them strategies using Anita Archer and Marzano, but they still needed more! 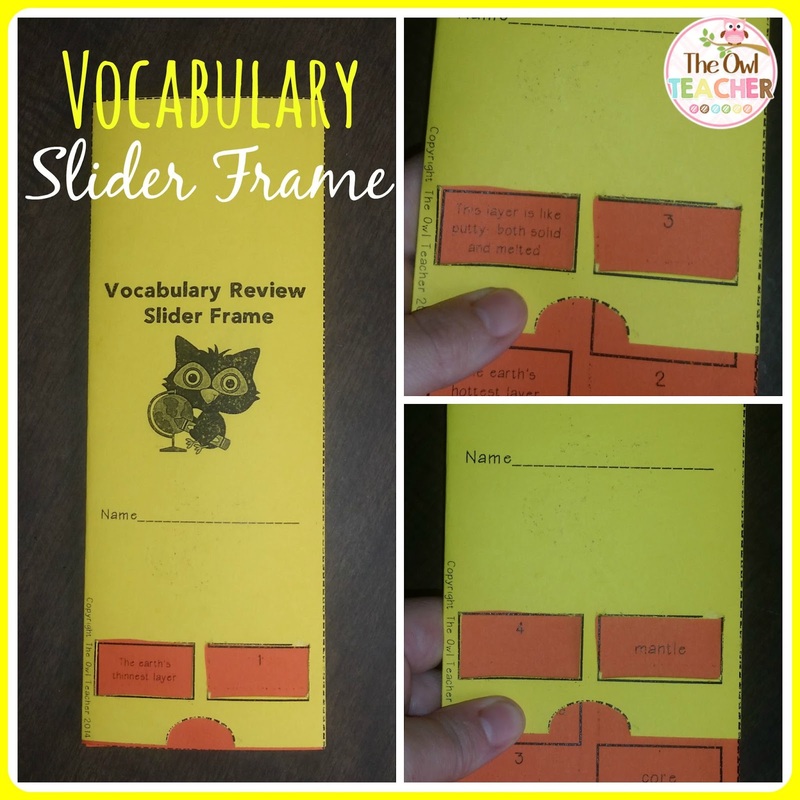 That's when I decided it was time to provide them with vocabulary slider frames so they could start studying a bit on their own. This slider frame is very easy to make and create for students. Students slide a card in the frame and read the definition. Then they decide what the answer is, and slide it down. Once they slide it down, it reveals what the answer is. It doesn't have to be limited to vocabulary words; You can also use it for reviewing by asking questions. If you head over to my blog, you can read more about this unique study tool and download it for free. I have provided both a pdf version and an editable version. Just click here to check it out.